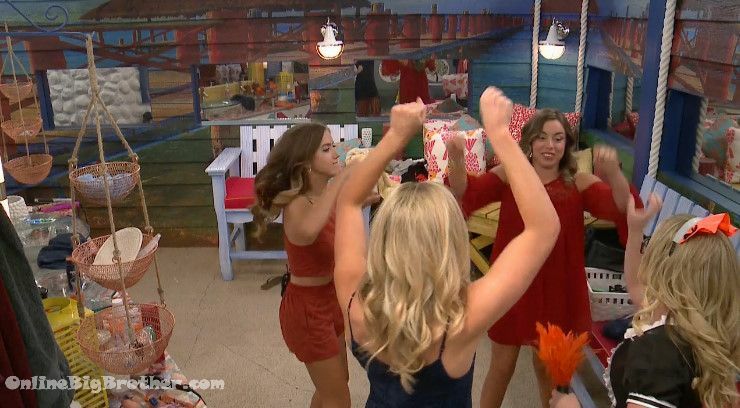 8:25pm – 10pm HOH room – Justin, Shelby and Morgan. Justin – this has been a wild and crazy week. The last thing I expected was for Alex to go home. If you would have asked me … I would have told you. Morgan – yeah and I figured. After the blow up fight .. it was everyone just exploding. Justin – I was just like C’est la vie, C’est la vie! I don’t like none of that sh*t. I don’t like all that confrontational sh*t. I’m going to go kick it down stairs. 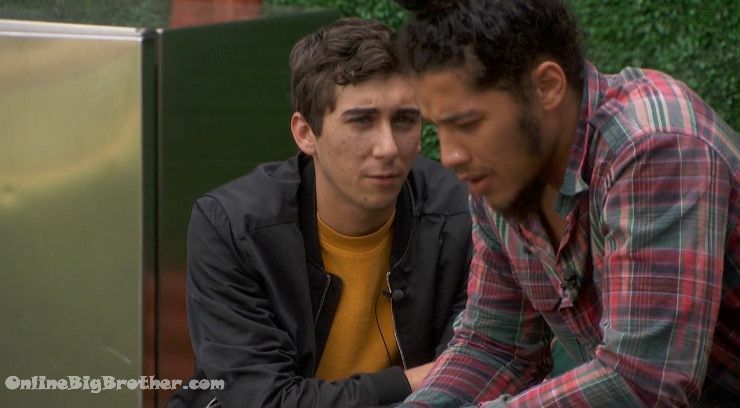 8:45pm Alex – Jason basically told me that he can convince Danielle to keep you and I (Scott & Alex) off the block this week if we keep him safe and don’t touch me (Jason) next week. Scott – he told he if he convinces Danielle to not put us up, then if he is on the block as America’s nominee that we go after one of our own people. Alex – if you don’t put me on the block …we can work with that deal. We can work with that deal! Scott – exactly. I don’t even think he is going to be America’s nominee. 1:11pm Jason’s crew has a hard time dealing with this but it seems like they keep the mean comments down compared to last week. They are thinking America hates them and are having trouble figuring out why because they feel the Girls are Boring, Terrible, horrible people with no personality. Jason believes that the fans have stopped watching the show. Danielle thinks they are getting a bad edit. Justin is baffled and Kryssie is nursing a heavily damaged hand. 3:44pm when we’re back Justin is with them. The LNJ is agreeing this week they have to win Veto. 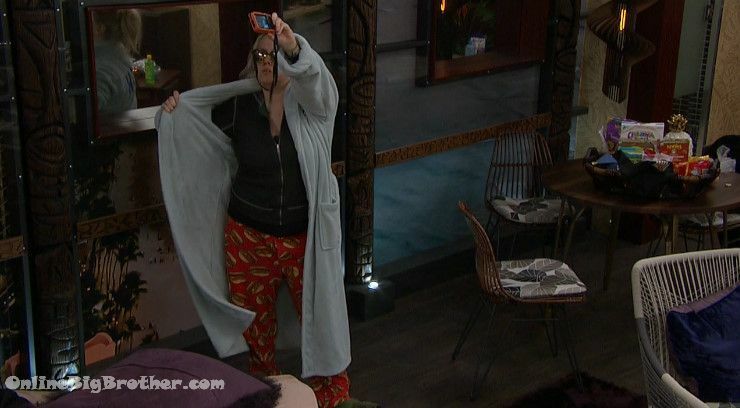 Morgan – it’s simply numbers.. numbers in the game..
Neeley – he wants to bully Danielle that’s his game plan..
Neeley – on the purple spirit day you want to bully somebody..
9:50pm Backyard – Kryssie – if you stay in the house with no votes against you, you can still play on an even keel. But if those motherf**kers vote for you.. Neeley – its a wrap! IT’S A WRAP! F**K Shelby she is going to do whatever those other two tell her. Kryssie – we’ll see. All those are horrible people. 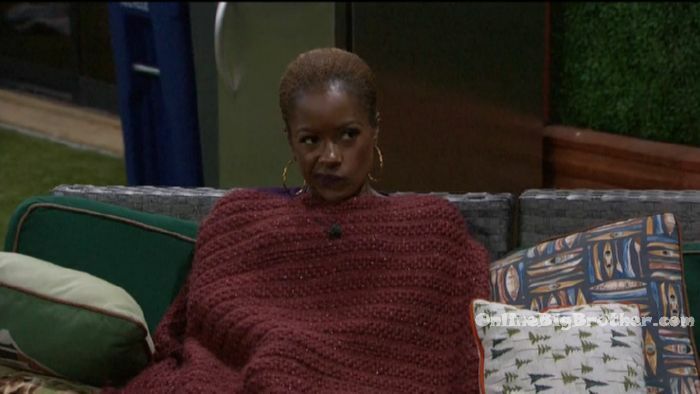 Neeley – I don’t agree with that, especially with Morgan and Whitney. Kryssie agrees – but in terms of this game, I am over all of them. Neeley – those would be the ones that I would possibly work with. 9pm Storage room – Morgan tells Alex – I need Shelby to go up on the block desperately. Because if Whitney goes up she is safe and she can’t vote. If I break the deal, Kryssie freaks out. Whitney can’t vote. Right now we promised 2 votes to Kryssie. Alex – I am very confused. 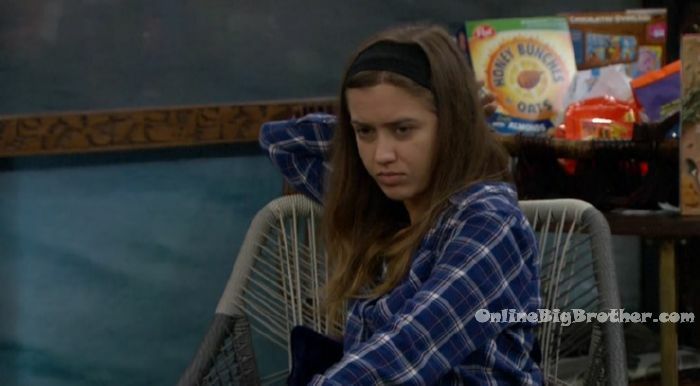 Morgan – I need Shelby to go on the block so that Whitney can still vote. Shelby is honestly irritating me. Alex – why is she irritating you? Morgan – because I know she wants Scott to stay because its good for her game. Jason – F*** Neeley be annoying Shelby is the most terrible person in here..
9:10pm – 11pm Lounge room – Shelby, Scott, Alex. 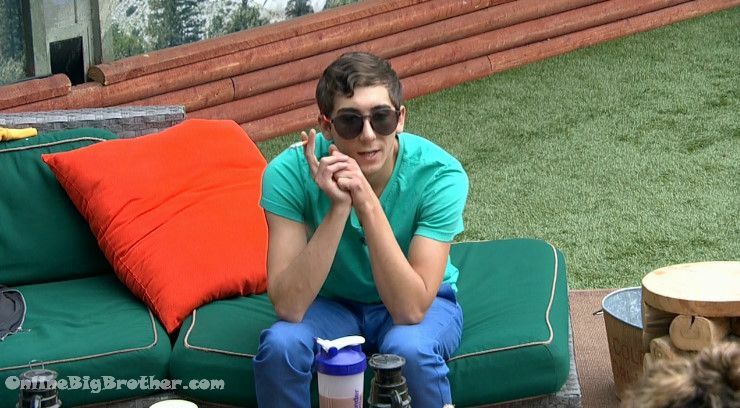 Scott – those three … Kryssie, Neeley and Danielle are going to vote against me no mater what. They don’t even got to pretend. Shelby – that’s what happens when you say you’re going to put them up in front of them. Scott – well I did nominate two of them and I took out the other ones boyfriend. Its to be expected. I’ve used both of them as pawns and took out Danielle’s boy toy. Shelby – but you played with emotions apparently but now if they want to get you out because of that, that’s not playing with emotions? !